Public Forum: 'How long do you plan to store SNF in New Mexico? As for a not-so-brief response to my friend, Mr. Kral, and his recent Letters to the Editor, I wish he had attended the Summit in Roswell. It was quite informative in bringing many people together on serious concerns we have, for NM and the US. Personally, I attempted to speak with Mr. Kral a few years ago, when WIPP had its “kitty litter” chemical/radiation accident. At the time I felt WIPP’s accident was a Pandora’s Box that had been dangerously opened. Mr Kral disagreed, although my opinion was based on having been trained by the US Army during my early career as a nuclear worker in southern NM. Fast forward from three years and I guess my woman’s intuition was on the correct trail. WIPP became as expensive to clean up as Three Mile Island’s nuclear reactor meltdown, $2 billion. That said, I appreciate Mr. Kral’s research into future possibilities in the area of nuclear reactor power. If Russia and China have developed some wonderful recyclable technology to eliminate the dangerous wastes the U.S. nuclear reactor industry currently produces, then I hope we can someday make friends with these major world powers, and get on a better path. Sadly, that is not our reality today. Nor do I believe it’s a possibility in the near future. It’s imperative to deal with PRESENT TIME, and get our house in order: the nuclear waste we’ve created over the past three-quarter century. Simply stated: the nuclear waste toilet bowl is overflowing, and the general public is clueless about the seriousness of this epidemic. I wish there was a simple solution, like Mr. Kral proposes. I hope he’s telling the truth, but it’s a long way off because the national focus is on doing things the same old way: NOT taking responsibility for making it; let it be somebody else problem. Or the early nuclear industry mantra: Dilution, dilution, dilution is the solution! Present time is what the Summit to Halt High-Level Nuclear Waste is about. The WIPP accident stalled the nuclear industry and is forcing us to take a second look. If we can’t effectively deal with LOW-level nuclear waste, then how are we going to handle HIGH-level nuclear waste? Are there better ways to deal with nuclear waste, besides making more of it for nuclear powered electricity? It produces HIGH-level nuclear waste. Nevada’s Yucca Mountain (100 miles from Las Vegas) on an isolated military reservation was targeted as the place for disposal, but it’s not big enough to fill the need now or in the future, given nuclear reactors’ speed at generating more waste (the 7-8 years Mr. Kral speaks of). Plus, Nevada doesn’t want it and has been fighting it for over 30 years. Yet the US has 100 plus reactors on line, and we’re still building them, largely to power the eastern and southern U.S.
As a world, we’re attempting to cleanup the past, since the Manhattan Project’s development of the atomic bomb. The nuclear waste generated since then, from military and nuclear powered electricity, has become the Albatross around our collective necks. Nuclear waste has become a never ending, escalating, and in my opinion, IRRESPONSIBLE act by our government and industry. Because we don’t have safe places or methodologies in place to handle it. Plus the nuclear industry was on a trial and error learning curve, creating many of the messes we’re shipping to WIPP today. Whether or not one likes WIPP, it exists, however it was designed to handle LOW-level nuclear waste AND without being a contaminated work environment. That’s not true anymore. Currently some areas are not safe for humans to enter with protective gear, plus LOW-level shipments are barely moving towards WIPP again after three years of cleanup. It isn’t fun being in a “banana suit” and wearing a respirator for even a couple of hours. Been there, done that! 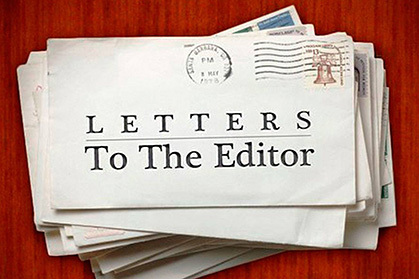 In the meantime, it’s important that Mr. Kral and I, and folks reading this letter work together – including the anti-nuclear people and the pro-nuclear Eddy Lea Energy Alliance. We’ve got to start having “friendly” conversations and educate one another. We don’t get to lift off to another planet, like in a Star Wars movie. This is the only home we’ve got. Let’s take care of it, including put it back together, so our families and communities have a future that’s a good life! And not an abandoned planet like in The Last Jedi. In closing: How about the oil industry biting the bullet and cap those gas flares at the oil wells, or publicizing the feasibility studies for building pipelines to capture that wonderful natural gas? It would certainly clean up the horizon over Carlsbad, one of the most polluted cities in the nation. And lower CO2 emissions, because the US produces a lot of it and it’s not healthy! Twenty-five years ago at the gas pump, the petroleum industry fought vapor recovery, and reluctantly complied to meet emission standards in California. Then realized they’d make a bundle on the captured vapors, dropping back into gasoline in their tank, not ours! It’s possible to fix this nuclear mess, if we work together – and as friends. Thanks for listening!